Self-service kiosks similar to this one in Mendocino County help expedite the juror check-in process. 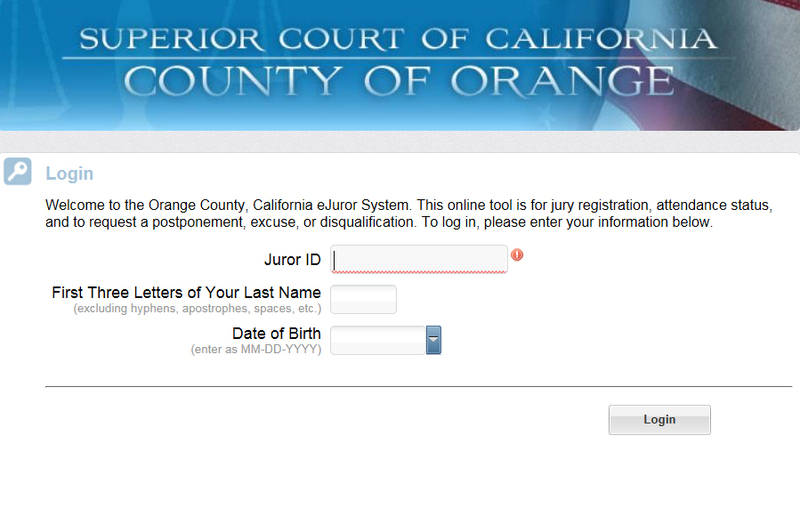 Using the court's eJuror online portal, people called to jury duty in Orange County can register for duty, check duty status, or request a postponement. 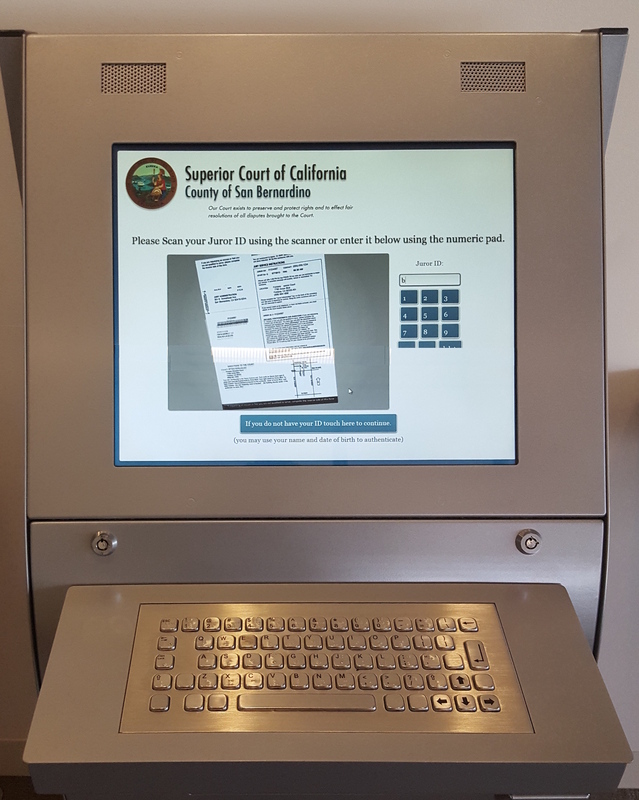 Kiosks help expedite the juror check-in process, helping courts operate and serve jurors more efficiently. The second full week in May, May 9–13 this year, is Juror Appreciation Week. Superior courts throughout the state will celebrate this week by recognizing jurors with thank-you certificates, banners, and refreshments. Self-service kiosks with touch screens enable jurors to check in for jury service. Optional text or phone messages remind people to report for jury service. Interactive online services enable jurors to check their reporting status, request a postponement, verify information, or print employer work certifications. The Judicial Council recently approved technology grants to help California superior courts continue making jury service more efficient and convenient. Grants totaling $465,000 for fiscal year 2015–2016 will help fund 27 projects in 19 courts. To find out what jury services are available for courts in your county, visit the Find My Court page on the California Courts website.